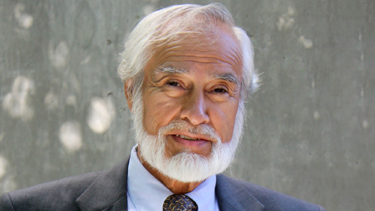 The New Mexico Supreme Court once again relied on an article authored by former Dean and Professor Emeritus Leo Romero. In 1990, Romero analyzed the mens rea (mental state) requirement for second-degree murder in “Unintentional Homicides Caused by Risk-Creating Conduct: Problems in Distinguishing Between Depraved Mind Murder, Second Degree Murder, Involuntary Manslaughter, and Noncriminal Homicide in New Mexico” in the New Mexico Law Review. The Court referenced Romero’s article three times in its opinion filed on January 26, 2017 in State of New Mexico v. Marcos Suazo and adopted Romero’s position that second degree murder requires actual knowledge. In the article, Romero stated that second degree murder requires a mens rea of actual knowledge that one’s act create a strong probability of death or great bodily harm. He argued that a “should have known” mens rea is inappropriate for second degree murder because it would permit conviction based on negligence. Defendant Marcos Suazo became agitated while roughhousing with his friend Matthew Vigil. Suazo retrieved his shotgun and pointed it at Vigil. Vigil grabbed the shotgun and placed the barrel in his mouth. Suazo pulled the trigger, killing Vigil and severely injuring his friend Roger Gage, who was standing behind Vigil. A key contested issue in this case was whether Suazo knew the shotgun was loaded when he pulled the trigger. Among other crimes, Suazo was convicted of second-degree murder and aggravated battery with a deadly weapon. Suazo appealed his second-degree murder conviction, contending that the district court erred by instructing the jury that it could convict Suazo of second degree murder if it found that Suazo “should have known” that his acts created a strong probability of death or great bodily harm. The Supreme Court reversed, stating that second degree murder requires proof that the accused knew that his or her acts created a strong probability of death or great bodily harm. Because the instructions misstated the men’s rea requirement for second degree murder, the Supreme Court reversed Suazo’s conviction for second-degree murder and remanded for a new trial. Romero’s Unintentional Homicides article is the second one to be referenced by the Court this year.